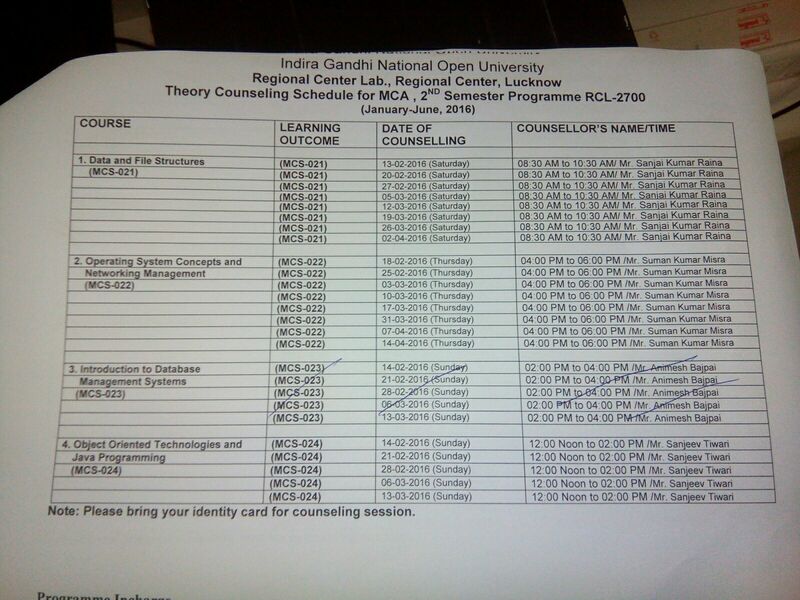 The lab is based on the courses MCS-021, MCS-022, MCS-023 and MCS-024. Work with Windows 2000 and Linux OSDescribe the features of network administration. Graphical User Interface, Evolution of the Human and machine interaction, functionality of GUI, Examples of some GUIs, Goals of Operating system, Functions of an Operating System, System calls, system commands, Different types of operating system, Components of Operating System , File Concept, Directory Structure. Introduction to networking concept, Network basics, Sharing information, Topology, Protocols, Types of network, Networking devices, Internetworking: concept, Architecture and protocols. Unix/Linux Operating System: Introduction, commands, services and utilities, user to user communication, administration. Operating System – Windows 2000: Introduction, Managing Windows 2000 server, advanced Windows 2000 networking. Security and Management: Network management in Windows 2000.
use with various concepts of Algorithm developmentuse various Data Structureapply various Sorting and Searching Techniquesapply Data Structures and other techniques to Real life problems. Introduction to Algorithms, Algorithms for simple problems Recursive Algorithms, Array, Lists, Circular Lists, Doubly Linked Lists, Circularly Doubly Linked Lists, Stack, Queues, Undirected Graphs, Directed Graphs, Single Source Shortest Path Problem, Dijkstra’s Algorithm, Trees, Binary Trees Traversal Algorithms (Both Recursive and Non-recursive), AVL Trees, B Trees, Files, Search Techniques, Binary Search, Linear Search, Sorting Techniques, Bubble Sort, Heap Sort, Merge Sort, Radix Sort. Program Design Concepts, Software evolution and crisis, Procedure-Oriented Approach Introduction to common PO- languages, Features of good programs and software quality, Advantages and disadvantages of PO-methodology. Basic concepts of OO approach, Evolution of OO methodology and its benefits, Comparison of OO and PO approaches, Introduction to common OO Language, Applications of OOP, Paradigms of OO approach, abstraction, Classes and Objects. Encapsulation, Inheritance and Polymorphism, OO Software and quality. Primitive Data types and Variables, Operators, Expressions and Statements,Decision and Interactive Constructs, Classes and Objects, Inheritance and Polymorphism, Packages and Interfaces, Exception handling, Multithreaded Programming, I/O IN JAVA, Strings and Characters, Exploring JAVA I/O, Applets, Graphics and User Interfaces, Networking Features, Java Servlets.